pregnancy is difficult. it's confusing and it's frustrating at times. it's perplexing and it's one of the biggest mysteries known to man. it's also one of the greatest things you'll ever experience. so, wouldn't you like to know more about it? yes, i say! 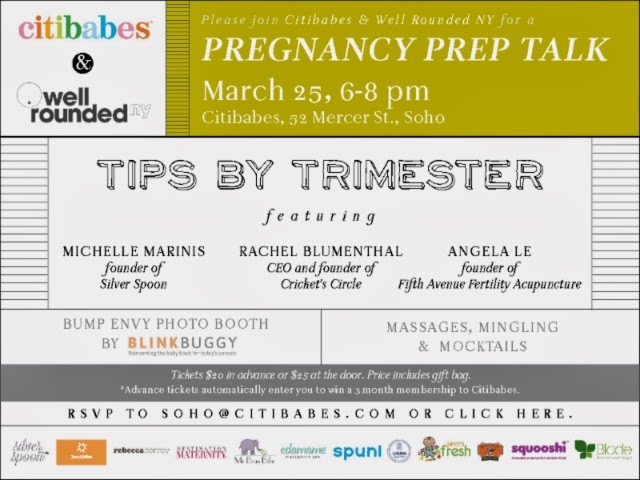 well, luckily for all of us, my friends at Well Rounded NY have partnered with CitiBabes for a pregnancy pep-talk, Tips By Trimester. from six to eight pm, on tuesday, march 25th, you can come join a bunch of other pregnant and hormonal women to discuss different aspects of pregnancy, like, nutrition, registries, integrative medicine, labor prep, and the role of doulas and other support systems when nearing our big day. 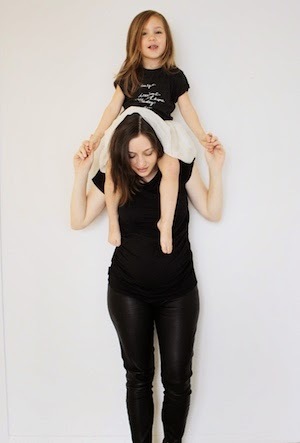 even if you aren't pregnant (like me!) but plan on becoming pregnant at some point (again, like me), you can benefit from this workshop. oh! and not to mention, there will be a bump envy photo booth sponsored by Blinkbuggy, massages given by Edamame Spa, and mocktails. oh, and food!